January 25, 2011 By This post may contain affiliate links. 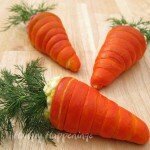 Looking to start making some amazing creations out of your food? Learn all the tips and tricks right here with some Chocolate Basics! Chocolate is my passion. Creating something sweet to eat or to give as a gift brings me incredible joy. I took my first candy making class at the local cake/candy decorating store when I was 13 years old. I instantly fell in love with the art of candy making and have been creating confections ever since. 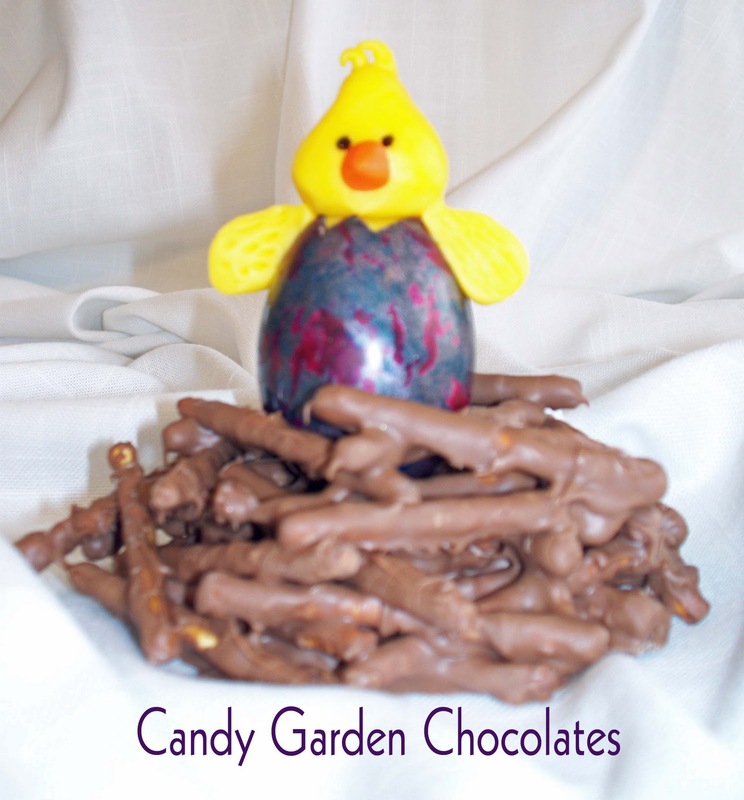 I enjoy sharing my passion for chocolate by teaching candy making to others. Whether you want to make simple bon bons and truffles or an elaborate chocolate sculpture, there are some very basic principals that apply. In my next post I will teach you how to make the adorable White Chocolate Rice Krispies Treats Lady Bug pictured at left. But before I give you those instructions, you need to know the chocolate basics. definitely not the same as chocolates made with cocoa butter, but it is an acceptable alternative. This product is available in milk, dark, white, and even flavored and colored varieties. 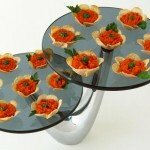 These coatings can be purchased from craft or cake decorating supply stores in wafers or blocks. I personally prefer the taste of Peter’s confectionery coatings, but Merkens coatings are very popular and Wilton’s coatings are easily available at most craft stores. 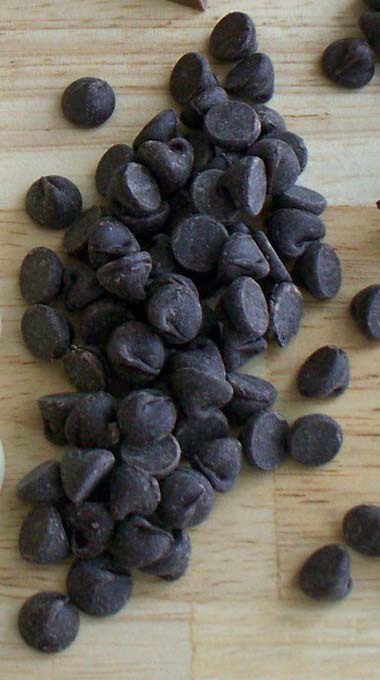 The third type of chocolate available to home cooks is chocolate chips which are available in bittersweet, semi-sweet, milk, white (some with cocoa butter, some with palm kernel oil), peanut butter, butterscotch, and cinnamon flavors. Dark and milk chocolate chips usually contain cocoa butter and can be used for some recipes, however they have additives that allow them to retain their shape at higher temperatures so they don’t melt as easily as a chocolate bar. If you melt chocolate chips and use them for candy making, unless you temper the chocolate, your candy will be soft and sticky. Please don’t add paraffin (wax) to melted chocolate chips for dipping as some recipes suggest. Why would anyone want to eat wax? You are better off using a confectionery coating or learning to temper. 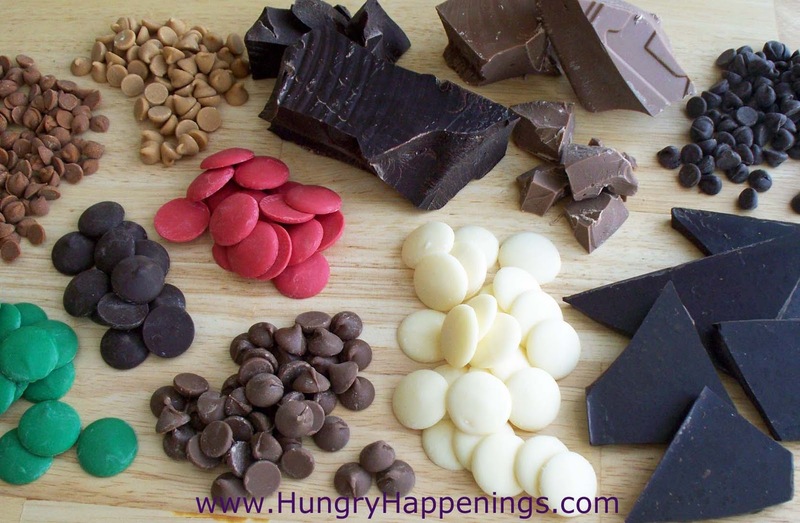 If you are using a large block of chocolate or a candy bar, chop your chocolate into small uniform pieces. The best way to do this is to use a serrated knife to shave off small bits of chocolate. 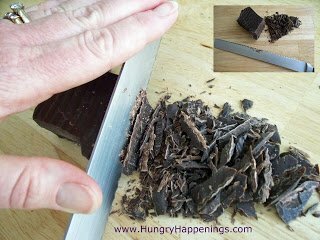 Place the knife blade on the edge of the chocolate block, and press down on the top of the knife while shaving off a small amount of chocolate. Then just chop any larger bits before using. You can also use a food processor to chop your chocolate. Add small chunks of chocolate to the bowl of the food processor and pulse until you have fine crumbs. Heat 1” of water over low heat in a saucepan. Place a bowl over the saucepan, being sure the bottom doesn’t touch the water. Put chopped chocolate, wafers, or chips in the bowl and stir occasionally until melted. It is very important that you do not allow any water to come in contact with the chocolate. Chocolate mixed with a drop or a few drops of water with seize (stiffen or harden). If this happens your only option is to add more liquid in order to get the chocolate smooth again. However, you can not use this thinned batch of chocolate for tempering or dipping as it will never harden properly. All is not lost as you can turn it into a delicious chocolate ganache or use it for baking. Every microwave is different so this is just a guideline, but it is safest to go slow and stir often. I always use high power for short busts of time. Pour 16 ounces chopped chocolate or confectionery coating wafers into a microwave safe bowl. Heat on high power for 30 seconds, remove from microwave and stir. Your chocolate wont look melted much at all at this point (1), but if you don’t stir it, you may burn the chocolate in the center of the bowl. Return to the microwave and heat for 25 seconds. At this point the chocolate will look only slightly melted around the edges (2) but if you stir vigorously the chunks will indeed start to become liquid (3). Continue to heat for 20 seconds. Now your chocolate will look more liquid (4), but you will have chunks remaining. Stir vigorously and the heat from the melted chocolate will indeed melt the chunks (5). If, after stirring for a while you still have chunks of chocolate remaining (6), heat for 10-15 second intervals, stirring in between each until melted (7). Do not rush this process. Chocolate burns easily. If you do burn the chocolate, throw it away and start over in a clean bowl. To melt more than 16 ounces, you can increase your times by 10-15 seconds per interval. For 2 lbs. (45 seconds, 35, 25, 10). For 3 lbs. (60 seconds, 45, 30, 20). If your microwave is less powerful, increase the times, but go slowly. If you are planning to make a lot of chocolates using various colors of confectionery coating, then melting them in a skillet is a great option. Fill your skillet with some warm water. Fill glass jars, coffee mugs, or ramekins with the confectionery coating wafers. Place jars in water in skillet. Make sure the water comes up about half way on your shortest jar. Turn the heat to the lowest setting and allow the wafers to melt, stirring occasionally. You can keep your coatings melted all day using this method. Just be sure to replenish the water as it evaporates and be careful that you don’t spill water in the chocolate, or it will be ruined. Confectionery coating wafers are available in a rainbow of colors and even various flavors. Most colored wafers taste like vanilla, but there are mint, fruit, peanut butter, and butterscotch flavors available. If you need a large amount of one color or need dark red or green, I suggest buying the pre-colored wafers. If not, then just melt down white wafers and color them yourself. You need to use colorings that are specially formulated for chocolate. Standard grocery store food coloring is water based and it will not work. Gel, paste, or powdered colors will work to beautifully color your confectionery coatings. These colorings are easy to find at craft and cake decorating stores. Add a small amount of coloring at a time and stir well. Add more coloring if needed to achieve the desired shade. Just a note, that some colorings are more vibrant than others. Pink for instance is very vibrant. Add one drop at a time. You can always add more, but the only way to tone down a color is to add more chocolate. Modeling chocolate or chocolate clay can be used like fondant to decorate and cover cakes or it can be used as a sculpting material to create forms and shapes. I personally think modeling chocolate tastes much better than fondant and use it almost exclusively. I love working with modeling chocolate and find that almost anything you can create with polymer clay, you can also make using modeling chocolate. It will harden when left at room temperature to dry, but can still be eaten once hardened. You can purchase pre-made modeling chocolate, but it only requires two ingredients, and is very simple to make. You can use pure chocolate for this recipe without having to temper it or you can use confectionery coating. I use pure milk and dark chocolate, but use white confectionery coating to make my modeling chocolate. The pure milk and dark chocolate have a richer flavor than the coatings but I actually prefer the taste of the white confectionery coating in this application and it is much less expensive than pure chocolate. Use your judgement when selecting a chocolate for this recipe. You will definitely taste the chocolate, so choose what you like to eat. Every chocolate has different amounts of fats and sugars so this recipe is a guide. Some chocolates will require more corn syrup than others. Also, the moisture in your room can also effect the moisture in your modeling chocolate. See the troubleshooting section below for instructions to solve problems with your modeling chocolate. 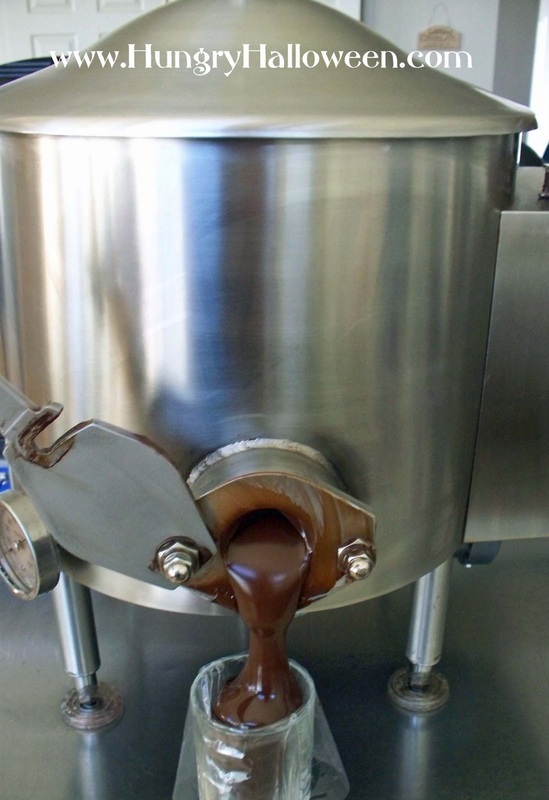 Melt chocolate or confectionery coating (1). Allow the chocolate to cool to about 91 degrees Fahrenheit, stirring often. 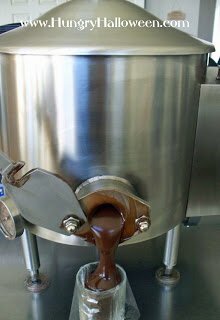 If you add the corn syrup when the chocolate is too hot, the cocoa butter or oil will rise to the surface and you will have a greasy mess. (See trouble shooting below.) If you don’t have a thermometer, test the temperature of the melted chocolate by putting a drop on your lip. It should feel cool. If it’s hot, let it cool longer. Pour in corn syrup (2). Stir until well incorporated (3). The mixture will become thick very quickly, so scrape the bottom of the bowl to incorporate all of the melted chocolate (4). 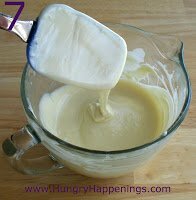 Pour mixture out onto a counter top, preferably marble or granite (5) . Knead until glossy and smooth (6). My hands tend to be rather warm, so I use a plastic bench scraper to help me knead the modeling chocolate, so that I don’t over heat it as this can bring out the oils in the chocolate. Store the modeling chocolate wrapped tightly in plastic wrap and placed in a zip top bag or airtight container. Modeling chocolate will keeps for several months, if stored properly. Dry modeling chocolate: As I mentioned, all chocolates have different amounts of fat in them. That is why these recipes may need some adjustments. If you are kneading your mixture and find that it is crumbling and dry (A), then you will need to add some corn syrup. Pour on a small amount of corn syrup and mix it in (B). If you begin to knead the mixture and it still feels dry, add some more corn syrup and continue to knead until the mixture becomes smooth and soft (C). Just a note, that if you are working on granite or marble, the surface is cold which is great for kneading this mixture. If, however, you are in the middle of kneading the mixture, and you walk away, when you return, you may have hardened bits of chocolate stuck to the granite or marble. These hardened bits may not melt back into a smooth dough. Move the chocolate to a cooler work surface like granite or marble. Dip you hands in ice water to cool them down and continue to knead. Use a plastic bench scraper or a rubber spatula to knead instead of your hands. Scape up the mixture and set it on plastic wrap for about 2 minutes allowing it to cool slightly. Then remove from plastic wrap and continue to knead. If you allow it to just sit directly on your work surface, you may end up with hardened pieces of chocolate that will not blend in to the mixture. Sticky, Soft, or Wet Modeling Chocolate: You may find that you have added too much corn syrup or too much coloring and that your modeling chocolate is just too sticky, soft, or wet. If it is sticky, wash your sticky hands then continue to knead until all of the corn syrup is incorporated. Take the sticky, soft, or wet dough and roll it in a ball then flatten it out in a disc. Then wrap it in plastic wrap and allow it to sit for at least an hour so that it can dry out a bit before using. If it is really wet, allow it to dry at room temperature until workable. As a last resort, you can try to knead in some melted chocolate, but you can end up with hard clumps of chocolate or an oily mess. Drying is your best option. Hard Modeling Chocolate: Your modeling chocolate will harden as it ages. 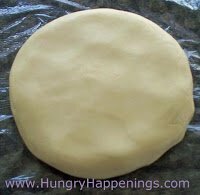 Always keep it formed into a flat disc and keep it wrapped tightly in plastic wrap in a zip top bag or airtight container. Even if you do this, you will find that your modeling chocolate is fairly hard when you go to use it after it has been stored for a few days. You can break off a piece of modeling chocolate and hold it in your hands for a few moments in order to warm it enough to begin kneading. Knead it until it becomes workable. If you just can’t get it soft enough, place a hunk in the microwave and heat on defrost for 3-5 seconds. Remove and knead it carefully (there will be hot spots and you can burn your hands, so be cautious.) The modeling chocolate may become oily if you do this and you will have to follow the instructions above to fix the oily mixture. White modeling chocolate can be colored using paste food coloring or powdered food coloring. I have even had success using store bought liquid food colorings, however the modeling chocolate becomes very soft and doesn’t harden as well. I recommend using food handling gloves when coloring modeling chocolate, or you will end up with brightly colored hands that may take days to return to normal. If you need a large amount of any one color, you can make the modeling chocolate recipe using colored confectionery coating wafers. Add a drop of color to the modeling chocolate and knead until well blended. Add more drops of color until you reach the desired shade. Remember, you can always add more coloring, but you can’t take it out, so add drops slowly then knead and check the color before adding more. Sprinkle a small amount of coloring onto the modeling chocolate and knead until well blended. Add more color as needed to get your desired shade. I prefer to use powdered coloring for red and green, as I can get a more vibrant color that way. To Store Modeling Chocolate: Wrap tightly in plastic wrap and store in a zip top bag or airtight container. It keeps for months if stored properly. If it becomes hard, break off small pieces and knead until soft. If you can’t do that, place the hard modeling chocolate in the microwave and heat on defrost for 3-5 seconds. Remove and carefully knead. It can be very hot, so proceed with caution. Simply pinch off pieces of modeling chocolate and sculpt into shapes. If you have a hard time working with the modeling chocolate because it is hard, warm it in your hands and knead until it is pliable. If it is too, soft, wrap it in plastic wrap and allow it to cool down for a while before using. Modeling chocolate can be rolled thin using a rolling pin or a pasta machine. 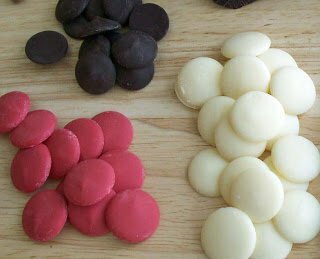 Dust your work surface or the rollers on the pasta machine very lightly with powdered sugar for white chocolate, milk, and colored chocolates or dust it with cocoa powder for dark chocolate to keep the modeling chocolate from sticking. Cut the modeling chocolate using a pizza cutter, knife, or cookie cutters. You can even mold the modeling chocolate using silicone molds that are dusted with powdered sugar or cocoa powder. 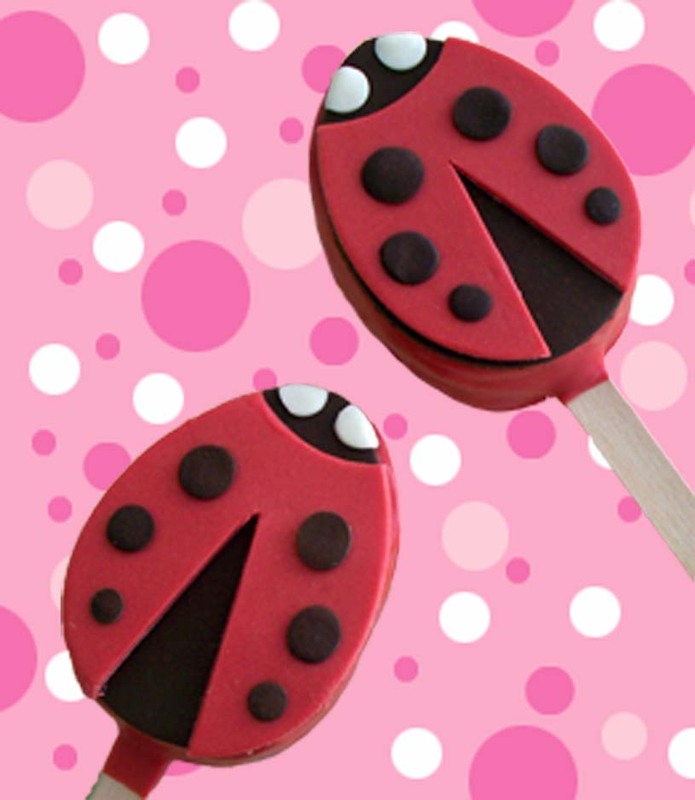 I’ll post the instructions for decorating the Rice Krispies Treats Lady Bug Pops tomorrow. Wonderful blog! Thank you. 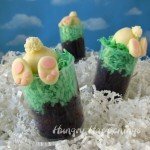 I'm quite new to chocolatiering (if there is such a word) and am looking for a method of sculpting chocolate without using too much glucose (corn starch). I don't like the flavour or texture it imparts. I've tried thickening the chocolate (Barry Callebaut couverture) by adding very small amounts of water, but the result is either too crumbly or too sticky. I think it can be done as there's a UK company (that's where I live), claiming to be able to do it, but they won't disclose their method. Do you have any bright ideas on the subject? These are very thorough instructions and well appreciated. Thank you very much. I love your site. I have gotten many wondering ideas from your tutorials. 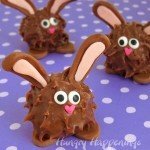 The best site I have come across for troubleshooting modeling chocolate! Thank you! Is it possible to melt candy melts and chocolate chips together? Or should I just work with either or? Being that candy melts and chocolate chips have two different types of fat, they need to be handled differently. The chips which contain cocoa butter need to be tempered in order for the finished product to set up correctly. I have never tried mixing them, but if you do, I would think you will need to temper the mixuture. 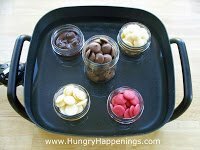 I know that candy melts don't taste nearly as good as pure chocolate containing cocoa butter, but it is so much easier to work with for the home cook. I have always worked with one or the other and would suggest that, but if you do try mixing them, let me know how it turns out. Hi, recently I have been having trouble with making molded chocolates from Merckens chocolate appells. The back side of the chocolate when I take it out of the freezer, is all wrinkly looking and not smooth. Is this caused by having the chocolate the wrong temperature? I haven't had this problem in past years, and am really baffled. What is the correct temperature to keep the melted chocolate in the squeeze bottles? Hi Anonymous, you should heat your confectionery coatings/candy melts (Merkens, Wilton's, or Peter's) no higher than 105 degrees Fahrenheit in order to melt them. While you are working, if the coatings get too cold they wont pour nicely into your molds and it will be hard to get a nice smooth surface on the candies. 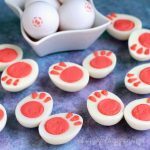 If you pour the candy into the mold and tap the mold a few times on the counter, the candy should smooth out. If it doesn't, then the candy is too cold. It may also be that the candy is just too thick to pour smoothly even when heated properly. Candy melts that have been exposed to extreme temperature changes (going from a cold warehouse to a hot delivery truck to a cold store) will often times have issues melting. If that is the case, I recommend you add some Paramount Crystals or a very small amount of vegetable oil to your candy to thin it out. It is also possible to over heat your candy melts which also makes them very thick. If the candy is not burnt, then you should be able to thin it out with paramount crystals or oil. First, what a find. Your blog is fantastic and your designs are amazing. Thank you so much for the tips. Second, I am wondering if you can possibly help me. I am using modelling chocolate for the first time to make a Star wars character to place on a friend's birthday. I have tested out the modelling chocolate with a tad of Suagrflair blossom tint, to see what effect it has. I am not sure if the tint (powder form)is havin an effect, but I do notice that the modelling chocolate becomes moist and soft rather quickly in room temperature. It hardens when I put it in the fridge, but the cake may be exposed to room temperature for a while. As such, I am concerned that the modelling chocolate won't last on the cake and the figure that I am making it from will not hold. Am I doing something wrong or can I do something to make the modelling chocolate stay hard in room temperature or a room that may be a little warm? Will gum tragacanth work on modeling chocolate? Would be really grateful for your advice! 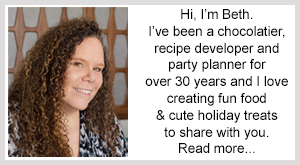 I'm glad you found and enjoyed my page on chocolate making tips. I love using modeling chocolate and sometimes forget that not everyone keeps their house at 68 degrees Fahrenheit, as I do. The one downfall of modeling chocolate is that is can become soft in warm temperatures. The best way to combat this issue is to make your modeling chocolate stiffer by using less corn syrup. This can help, but if the room is too warm, it can still begin to melt. I don't refrigerate my modeling chocolate, ever! When I get it out of my zip top bag after it sat for a day it is hard. So hard in fact that I have to break off small amounts and knead it until it is workable. If your modeling chocolate doesn't harden like that at room temperature then it probably has too much corn syrup in it. When I can, I like to make my modeling chocolate and use it within an hour so that it is soft and pliable enough to model, then I let my decorations sit at room temperature to dry out. I do find that if it is worked too much it gets soft and I have to walk away and let it rest. I also have to oftentimes run my hands under cold water to cool them off. If you refrigerate your modeling chocolate decorations, they will become moist and sticky. Even if you wrap them tightly, when you put them in a refrigerator they will be exposed to moisture. Try leaving them out to dry for at least a day. If you are making a sculpture to put on a cake and you make it several days ahead of time it should have plenty of time to dry out. It is still edible, just a little hard, but that sure beats having it lose it's shape during a party. Store your modeling chocolate in a cool dry place away from a heat register or window. Always wrap it tightly in plastic wrap and store in an airtight container or zip top bag. As far as coloring it, try brusing the dusting colors on after you sculpt your decoration. You can brush it on dry, or mix it with a small amount of vodka and paint it on. The vodka will evaporate and you will have a nice painted look. If you brush it on dry it will give your pieces a nice mellow shimmer and a soft color. I've tried mixing the dust into the modeling chocolate and it takes too much (and it's too expensive to waste) to really have much effect. I've never used gum tragacanth, so I don't know it's effect on modeling chocolate. Good luck. If you have any more questions, let me know. Good luck with your Star Wars characters. Thank you so much for the advice – it is such a relief to get an experienced view. It sounds like the fridge is where I went wrong. I neglected to mention that I used store bought, Squires cocoform (I did not know it was easy to make your own until I found your blog! ); when it went moist after I worked some colour into it, I thought the fridge would help. Obviously not! er's clothes will be made using milk chocolate cocoform and sugarpaste. I have no idea if this is a feasible plan, so if you have any tips or any warnings, do let me know, otherwise, thank you very much again for your help. p.s will try out the vodka tip – I like that! When you add coloring to any modeling chocolate it will become more soft and pliable, especially if you add water based colorings. Eventually if left to dry the colored modeling chocolate will become more solid. As far as leaving a cake ball out, I have left them out at room temperature for over a week, and they were still good. The chocolate coating keeps the cake ball moist and delicious. So I wouldn't worry about making them a day or even a few days in advance. Let me know how your project turns out or if you have any more questions. Thank you so much for your help. The cake was a success; my friend loved it! A quick question about melted chocolate. I want to use some left over pieces of melted and hardened chocolate to make chocolate lollipops for Christmas. However, this chocolate was not successfuly tempered; some of the pieces have white streaks. Is it possible to re-temper this chocolate and restore it to its original shiny appearance for the lollipops, or is this no longer possible, now that streaking has occured? When using a skillet to melt chocolates, can it be a stove stop skillet on low or just the plug in kind? You know I've never tried doing it on the stove top, just because I like to sit at a table when I work, but I'm pretty sure it would work fine if you use a heavy bottomed skillet. Just keep the heat as low as possible. You might need to turn the heat off and on, just so the bottom of your jars of chocolate don't over-heat and burn. If you could somehow create a double boiler type effect, by raising your jars up 1/2" off the bottom of the skillet, that would be perfect. Good luck and let me know how it works. I wanted to say thank you, thank you so much.. I was having a hard time with white modeling chocolate and someone somewhere ( I think cakes we bake ) posted your link and there it was. The way to my crumbling white modeling chocolate . Hi Michelle, I am so happy that you found my instructions and troubleshooting information helpful. I really have encountered every problem there is to have with modeling chocolate and worked to figure out how to solve the problems. I am happy to share my experience with you. I love working with modeling chocolate and have lots of projects here that use it. 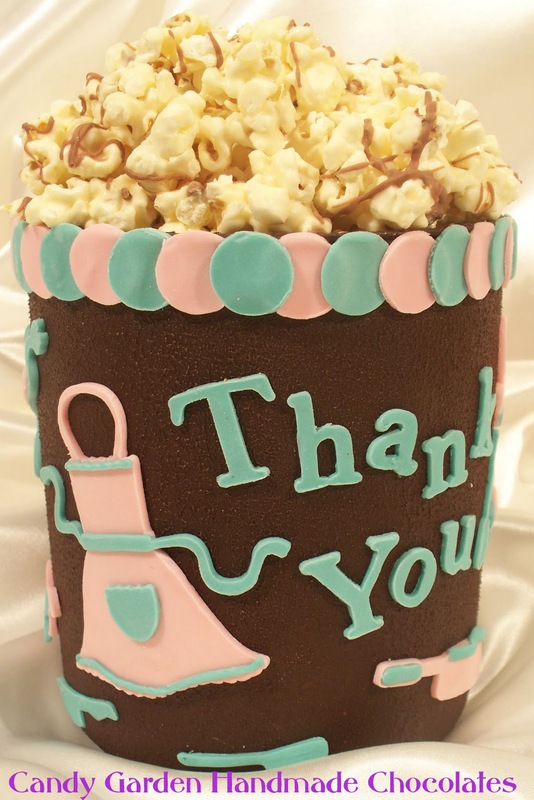 I'm glad you had success in making it and hope you have lots of fun creating edible crafts with it. I know many people have had the exact same experience with modeling chocolate and have ended up throwing it away. I know there are modeling chocolates available, but I'm not sure that Merckens makes any. Modeling chocolate will feel like clay or fondant. So if you buy store bought modeling chocolate, all you have to do is knead it then create your figures. If you are talking about confectionery coating/candy melts that come in wafers, then yes, you need to melt it and add corn syrup following my instructions regarding temperature. I hope this helps. Let me know if you have any other questions. oh okey, i bought mercken moulding chocolate wafer though, so this is not modeling chocolate? Moulding chocolate wafers are just chocolate you can melt and use to mold candies, so yes, you will need to melt them and add corn syrup. ok, thank you very much Beth, you enlightened me about on this, you helped a lot about chocolate. Now i'm confident enough to use chocolate for my cake figures. Thanks so much! This is a really helpful blog. Someone on Etsy actually recommended it to me and I'm so happy she did! I used your recipe to (attempt to) make modeling chocolate with Merckens white chocolate but I wish I would've read the comments because I put it in the fridge afterwards to set and it was hard as a rock so I couldn't work with it, even after sitting out. I guess I won't put it in the fridge next time. I read somewhere that you can color cocoa butter to paint onto the chocolate. You mentioned using vodka though. Have you ever used cocoa butter to paint with? If so, any tips? I assume it wouldn't dry like the vodka does so I wonder if it would be too runny or not dry at all. And do you know if this could work to paint plain molded chocolate or just on modeling chocolate? Thanks in advance! Hi Missy, glad you found my blog. If you have rock hard modeling chocolate, put it in the microwave on defrost for 4-5 seconds. Then try to knead it. If you have a large amount, try breaking it into smaller pieces before putting it in the microwave. It should soften up enough to work with. If not, you can try to knead in some extra corn syrup. 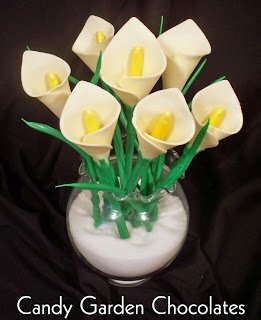 Ultimately you want your modeling chocolate to get hard once you've made your decorations, so you just need to make it soft and pliable enough to work with. You can color cocoa butter and use it to paint on chocolate. I have done this a lot, but have yet to blog about it. You want to heat your cocoa butter enough to melt it then add your coloring. You then need to cool it to about 90 degrees F before painting onto the chocolate or you will cause bloom on the chocolate. Some people put their colored cocoa butter in jars in yogurt maker to keep them at a constant temperature while working with them. You can paint right onto chocolate or you can paint into your candy molds, allow it to dry, then pour in your chocolate, allow it to set, and when you pop it out it will be decorated. I usually color my modeling chocolate, so I've not tried painting onto it with colored cocoa butter, but think it might work. I use vodka when I paint with luster dust, but depending on what you are doing, you can also just brush the luster dust onto the chocolate. They both have different looks. Thanks for the advice! I tried warming the hard modeling chocolate in the microwave and adding corn syrup and it just made it greasy and oily but still hard. I was on a time constraint so I just used fondant and it actually turned out well (I made Sesame Street characters for the top of a birthday cake.) The only thing I can think of is that I scaled your recipe down so maybe I messed some measurements up in the conversion. I have painted with just melted chocolate directly into molds before, but I'm trying to do more personalized chocolates for weddings, etc. and wanted to be able to put initials on truffles or other molded chocolates by hand. I thought this would look best done after the chocolates had set so that's why I was thinking of painting with the colored cocoa butter. Knowing that it needs to be cooled to about 90 degrees helps though. I'll have to play around with it and see what works best and also try the vodka and luster dust. I look forward to a blog about working with cocoa butter if you ever do one. Sorry to hear the microwave didn't work. If it gets too hot the oils will seep out. I try to not ever heat it more than 5 seconds on defrost, but I know not all microwaves are the same and some might get hotter than mine on the defrost setting. I'm glad in the end the fondant worked out. When you aren't pressed for time, try the modeling chocolate again. Once you master it, I know you'll love working with it, plus it tastes so good. I think you are on the right track for adding initials to molded chocolate pieces. The luster dust/vodka mix will work great, but so will the cocoa butter/coloring mix. Good luck with it and be sure to let me know how it all works for you. Hi, Beth, thanks for sharing your knowledge and expertise with us. I wonder, can I melt chocolate wafers in a crock pot? If so, do I heat it up only at the warm setting? Also, are plastic lollipop sticks just as good as the ones made of paper – for making chocolate lollipops? Thanks so much. Hi. I know there are small crock pots made specifically for melting the candy wafers, but I honestly don't know if they have different temperature setting than a normal crock pot. You might want to put some water in your crock pot, set it on warm, leave it for an hour, then take the temperature of the water. You don't want the candy to get above 115 degrees Fahrenheit. If the water is lower than that, then go ahead and use it. 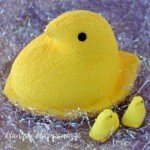 I have heard some people heat water in their crock pot and keep jars or squeeze bottles in the water to keep their candy melted. Some even put piping bags filled with candy in zip top bags and set them into the water. As far as plastic lollipop sticks go, I have always used the paper ones, but would think the plastic ones would work just fine. If you have luck with the crock pot, let me know, so I can share the information.